I have a program on my computer called Stumble Upon. You can find it at http://www.stumbleupon.com/ . At this website, you sign up for a free account and choose from a list of subjects and then the program will search out websites that fit the criteria of what you have selected. I selected things like crafts, photography, recipes etc. and when I click on the STUMBLE button, it takes me to places on the Internet. 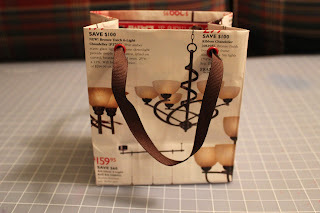 I stumbled upon a tutorial for a small gift bag made from newspapers or printed ads that come in your newspaper. Here is a link to that tutorial. 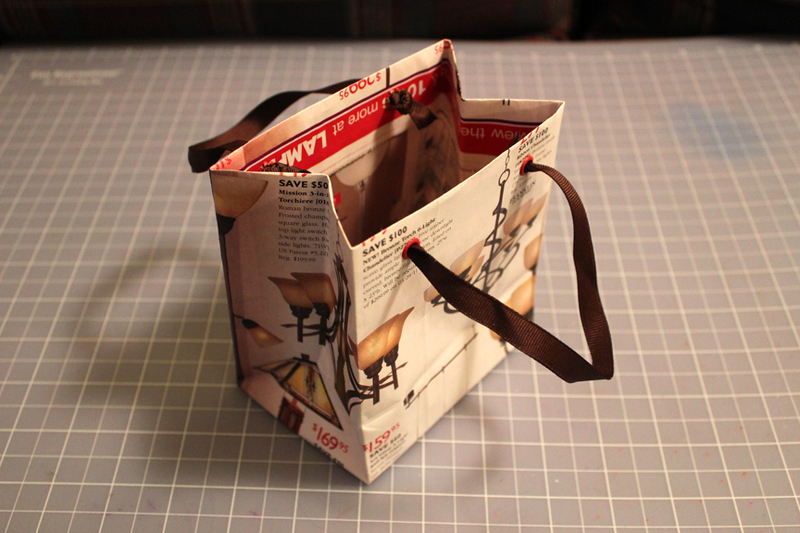 and here is the bag that I made today. 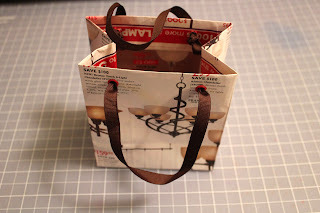 I used a LAMPS PLUS ad from my newspaper. 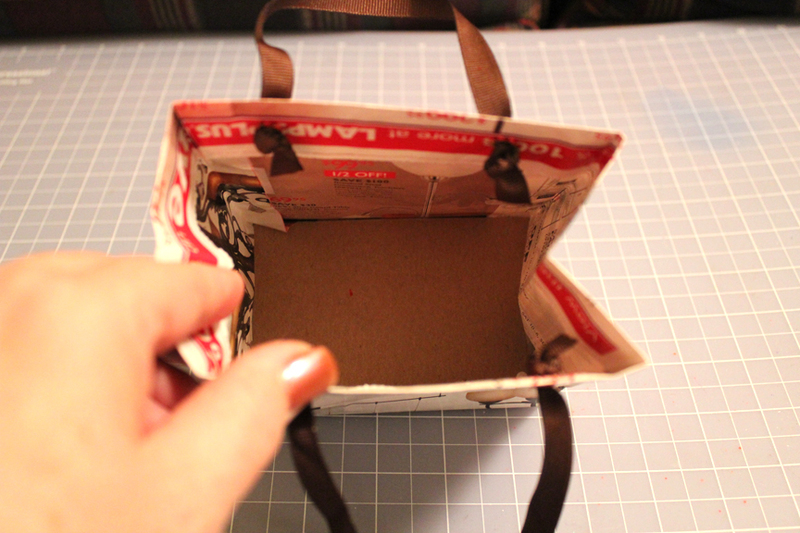 You actually use 2 layers of paper to give the bag extra strength. Click to enlarge photos to better see the details. This entry was posted on Friday, March 4th, 2011 at 12:06 am and is filed under Uncategorized. You can follow any responses to this entry through the RSS 2.0 feed. You can leave a response, or trackback from your own site.